The shed was as advertised and as shown in the picture. The .. The Lifetime 7x7 plastic garden shed kit comes with one window, one end-to-end skylight, two screened vents and durable plastic flooring! The key to getting your stuff organized is more storage space. 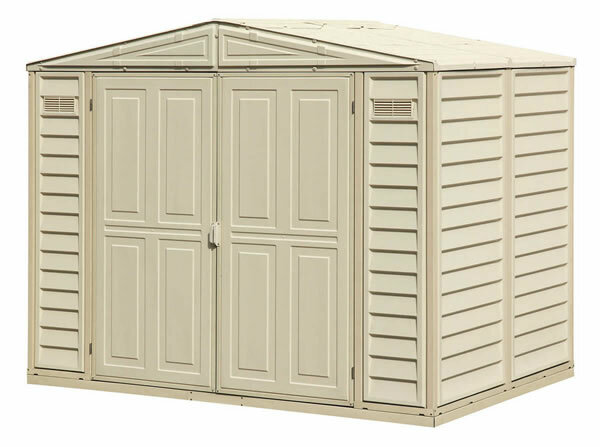 Our Lifetime 7 ft. plastic garden storage shed provides the storage space you need! 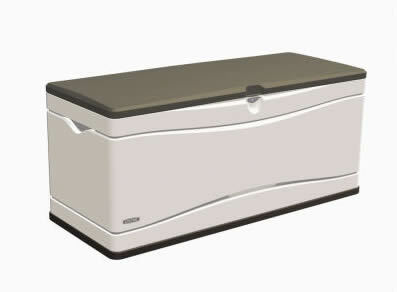 Get peace of mind knowing your stored items are locked up, safe and dry out of the weather. 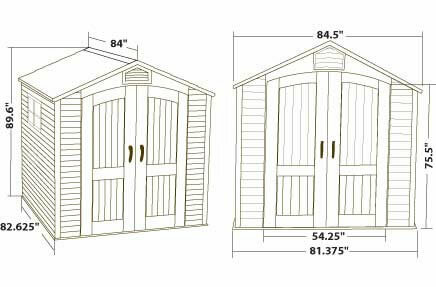 A new garden storage shed allows you to keep your outdoor lawn and garden equipment handy and conveniently located for your outdoor projects. 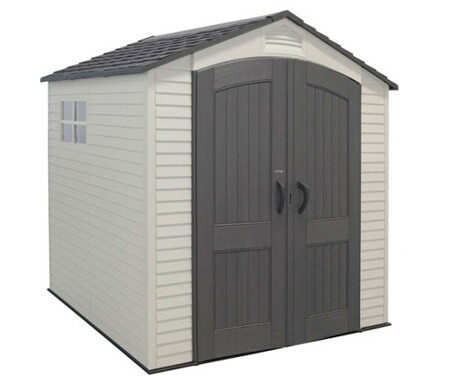 The Lifetime 7 foot outdoor garden storage shed is constructed for durability from high-density polyethylene plastic (HDPE) and steel reinforcements. Lifetime storage sheds are very low maintenance, designed with stain-resistant flooring, and a worry-free, no paint, no rust exterior. 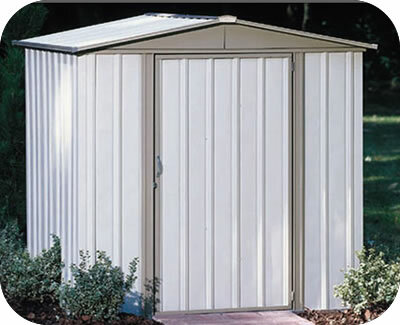 The Lifetime 7 ft. outdoor garden storage shed is also UV-protected to resist fading and cracking from the sun. 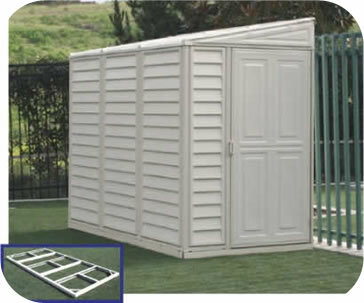 This storage shed looks great when you buy it and looks great for as long as you own it! Made in the USA! 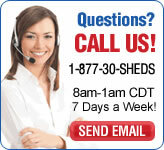 This Lifetime shed must be built on a flat level foundation of wood or concrete (not included). Note: The tool corral and the 8 ft shelf are not compatible with this 7 ft shed. 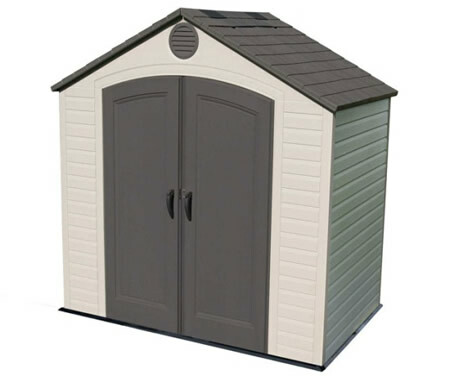 This Storage Shed Includes: high impact flooring, 1 inch double-walled polyethylene plastic walls, One double door with internal spring latch, interior deadbolts, and exterior padlock loop, One shatter proof window with polycarbonate panel that slides open for ventilation, One end-to-end ridge skylight that runs the length of the roof and two screened vents! Interior Height – Minimum: 70.25"
Interior Height – Maximum: 88.3"